Search the internet and you’ll find a variety of descriptions for relaxed homeschooling. 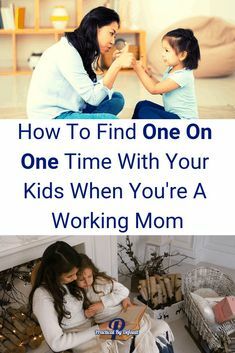 Some use the term to describe the loose schedule they follow from day-to-day, not binding themselves or their kids to a strict hour by hour agenda. Others describe it as freedom from a stringent curriculum, instead they draw upon an eclectic mix of materials to form their education. And still, others identify relaxed homeschooling as unschooling. It is not my place to critique any of these definitions. Each family identifies with their own approach to homeschooling and looks for words to articulate that approach. And the truth is, what is relaxed for one person may not be relaxed for someone else. It is all relative to the individual and the family. As I explored the idea of relaxed homeschooling in the early years of homeschooling, I wondered how I would know if I was “doing it right.” I laugh at this now, knowing that there isn’t really a right or wrong way, but I empathize with my younger self for needing to know that I was on the right track. As I have grown in confidence as a relaxed homeschooler and connected with other relaxed homeschoolers, I have seen some patterns emerge that show me that I am on the right track. I hope that they will help you too. Relaxed is a relative term, so identifying your top priorities will give you peace of mind. For my family, this is reading aloud, exploring math concepts, pursuing areas of interest, and getting active and outdoors often. With these four pillars in place, I have a direction for our days. My biggest fear when I set out on the path of relaxed homeschooling was that we would flounder through our days without intention and regret that we did not spend our time doing the things we love. Identifying the big priorities allowed me to take a deep breath and step into the journey with confidence. It has helped me to set an intention for our days, to say yes to some activities and no to others, and to decide if we need to use a curriculum for a topic or if we can just dive in and see where things take us. What are your non-negotiables? Whenever we can we dive deeply into a topic or concept until our curiosity is satisfied. These times feel like the honeymoon of relaxed homeschooling. We’re all fired up about the topic and we can’t wait to learn more! This happened when we dove into a mystery book about Japan. It consumed our days for weeks. We watched documentaries and YouTube videos. Explored origami and Japanese customs. We sampled Japanese foods and, much to the delight of my children, slurped soup because in Japan that is the polite way to eat soup. J My kids still talk about our Japan party and it has become a cherished memory. In what areas would your kids enjoy a deep dive? Just as relaxed homeschooling allows us to dig into areas of interest without feeling like we’re missing out on something else, it also gives us the freedom to stop in the middle of a project, shut off a documentary, or return a library book without finishing it. Sometimes we’re just not into a topic as much as we thought we would be, and that’s okay! Instead of looking at this as a failure or an inability to see a project to its end, I choose to view it as making space for a new interest to develop. Sometimes this means following a rabbit trail from the topic we’re leaving behind, but sometimes it is something new altogether. It’s always a surprise. Are there any topics or projects that you and your kids just aren’t into? Can you step away and take a break? Curiosity is contagious. In our house, you’ll often hear the phrase, “I wonder…” At first, this was my intentional way of reframing my own need to step in and direct my children’s learning. (That’s the former classroom teacher in me.) Instead of interjecting my own directives like, “Let’s try this,” I would try to catch myself and tap into my own curiosity. “I wonder” became my new mantra, and eventually it seeped into my kids. Regardless of whether or not my kids share my enthusiasm for certain topics, I have encouraged a spirit of curiosity and exploration for them, and renewed my own curiosity in the process! Wave the white flag of surrender. This may sound like I’m telling you to give up. I am. But I’m not. Confused? Hear me out. Surrender the voices and the expectations of others. Let them go. They do not serve your family or your homeschool, even if they mean well. Whether we know it or not, we all come to homeschooling with some expectations. Chances are those expectations will be different than the reality and you will wrestle with this. That’s okay. It is part of the process of finding our own truth in homeschooling. And just as every homeschooling family is different, every relaxed homeschooling family is different. Over the years, I have found that sometimes Quitting is the Greatest Victory. What is one expectation that you can surrender? The beauty of relaxed homeschooling is that there is no definition. 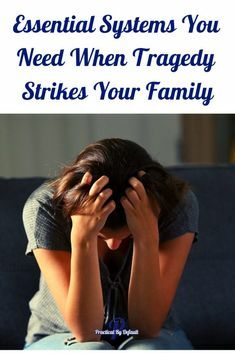 No cookie cutter mold for your family to fit into. This is simultaneously freeing and terrifying. It is my hope that as you reflect on what relaxed homeschooling may look like for your family you will find the peace that you are seeking.